Robert Callender was born in Kent in 1932. After a period as a student of medical illustration he moved to the Department of Painting at Edinburgh College of Art, where he became an artist - and would later mentor young artists as a much-loved member of the College staff. An involved member of the Scottish art community, he also exhibited internationally. Robert died in July 2011, in Fife. 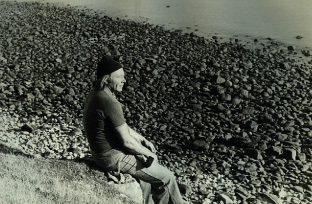 A unique personality and artist, and a man of principles, Robert Callender was driven by his interest in the craft of making and in the environment - particularly the coast, the sea and those who worked on it. A prodigious and technically accomplished output of paintings, work in three dimensions and printmaking is complimented by his writings - succinct prose and poetry on maritime and environmental themes. 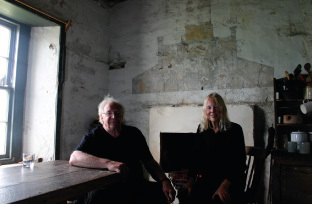 Clockwise from top left: Robert Callender at Stoer, 2011; Coastal Collection, paper, mixed media; Construction in paper and mixed media, Talbot Rice Gallery; Robert with his wife, Elizabeth Ogilvie, in their bothy at Stoer; Robert on the shore at Stoer. 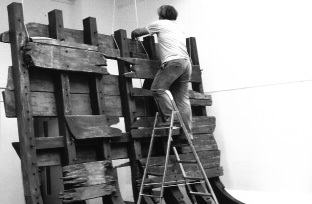 What Callender had to say over his 60-year career, about the making of art and the sculptural form as a conceptual journey - as well as the changing environment and our cultural identity - is important for educators, curators, students and the public. Still recognised as the ultimate in the craft of art making, Callender's work employs an exquisite level of precision to explore the relationship between environment, inhabitants and the coast. In his approach to making work Callender joined a tradition of papermaking more aligned to Japanese/Chinese constructive techniques, where mixed media/papier-mache could be engineered into powerful utilitarian structures. Out of this arose his signature method of authentic freestanding and relief sculptures that dominated his working practices. Conceptual and still innovative, the massive hulks with the appearance of wood and plastic are but supra-delicate re-fashionings which provoke delight and astonishment at the fact of their having been made and conveying an astonishing illusion of weight. 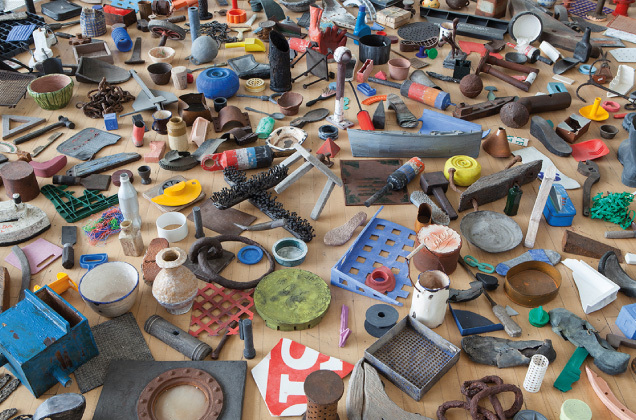 The process of recycling and contemporary thinking at the work's core, reveal the artist's commitment to environmental concerns, which became, over time, a sprawling, passionate, loving declaration of cultural self-determination, so important now. As the son of an engineer and boat builder on the river Thames, the artist has never lived far from either river or sea and he has drawn on this quintessentially romantic subject. Before making his sculpture, the artist beachcombs - a process Callender describes as both analytical, in that one has to concentrate on the ground at ones feet, and cleansing, in that it removes ones thoughts from city life. 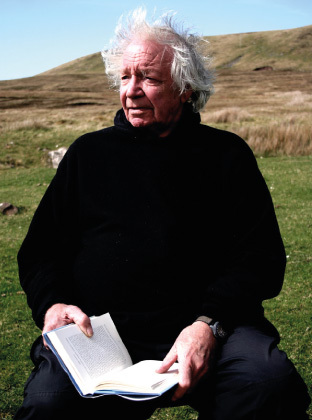 Since 1969 Callender has spent every summer in a bothy in West Sutherland, gathering material for inspiration. The dramatic northerly coastline provided not only driftwood used for cooking, heating, and furniture-making, it provides a powerful focus for an imagined narrative based on the lives of those who first made boats who went to sea to fish or travel. The evocative Point of Stoer, where the bothy is located, is very rocky, and a dangerous area for seafarers. Callender's subjects are pieces of driftwood and various fragments, which come away from wrecked boats, and other material found on the high tide line. At first sight his sculptures look like 'found objects', and might almost be interpreted as deriving from Marcel Duchamp's provocative relocation of various functional artifacts into the world of art. In fact they are incredibly plausible-looking, three dimentional facsimiles made from paper pulp, cardboard, and paint, pigmented and given a texture using peat, saw-dust, and wood ash. Callender has developed craft skills to such a degree that he produces near perfect copies, indistinguishable in the outer structure and surface from the originals. Hyper-realistic fabrications of sea debris, such as Callender's, have an engrossing power, but they avoid becoming mystically romantic, despite the subject, because of their obsessive resemblance to the originals. There is no intention of becoming nostalgic or misty eyed about the past. Note: Andrew Patrizio has written a new essay on Robert Callender's work, to be published as part of the A2B Edition.